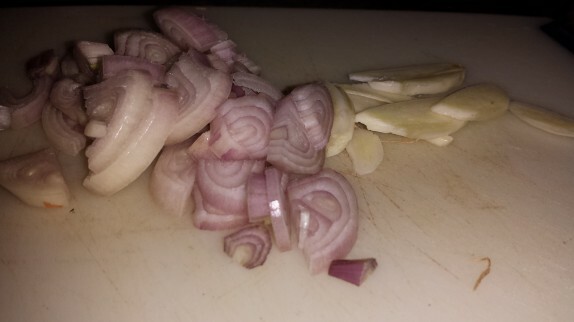 To make these, I sliced up a shallot and a clove of garlic and started to sweat those in a small frying pan with some olive oil (about a tablespoon). 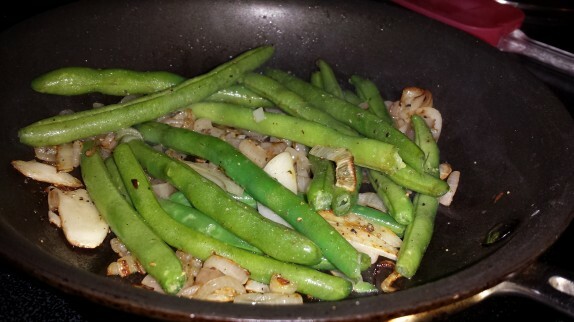 Then I added a handful of green beans to the pan and sauteed those a little. 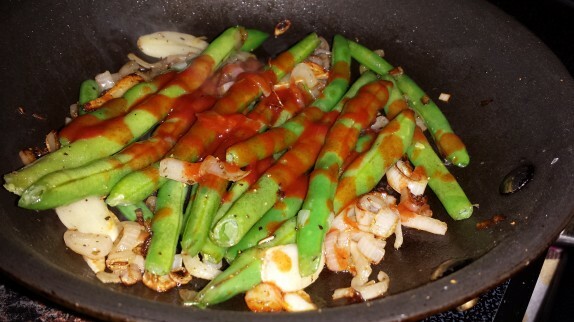 Even for my sauteed string beans, I use a little liquid and cover them to let them steam so they cook throughout. 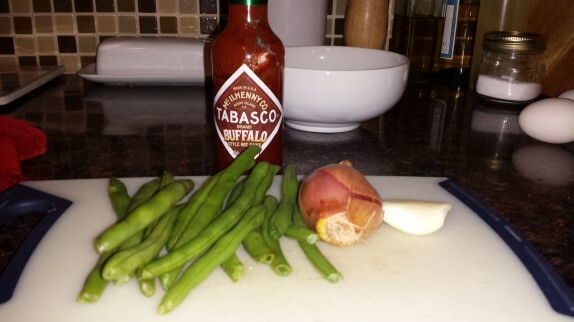 For this, I used about 1 tablespoon of the Buffalo sauce and a tablespoon of water (a pinch of salt and fresh cracked pepper), then I put a lid over the beans. 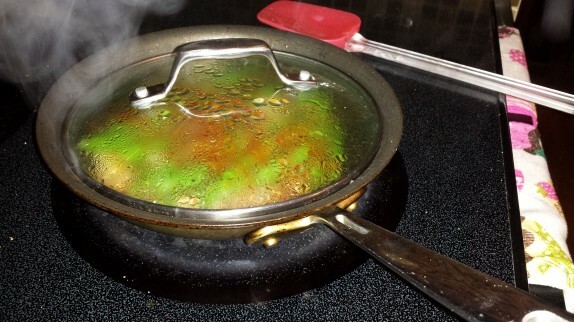 After about 2 minutes, I removed the cover and allowed some of the liquid to cook out. 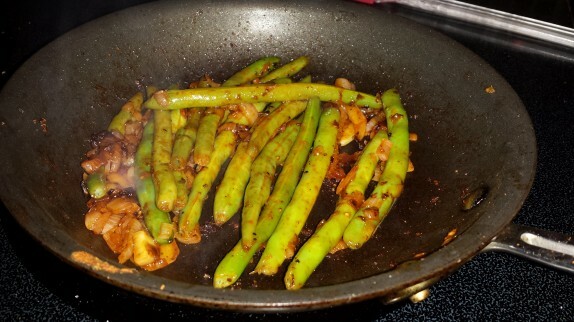 I removed the green beans from the pan when there was barely enough liquid to coat them. At this point, I envision that adding about 1/2 tablespoon of butter could only enhance the dish by making the sauce a little more substantial and rich. The shallots (or onions if you wish) and garlic provide some aroma and soft textures, and I like to cook my green beans so they maintain a bit of their snap. 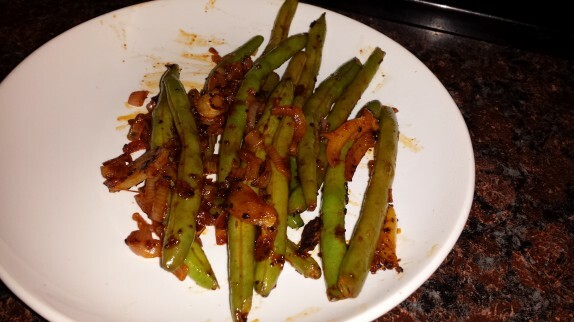 The sauce clings to the green beans; the acidity of the sauce with the sweet beans and aromatics creates a pretty balanced snack. I’ve done this with just about every hot sauce in my pantry (and trust me, there are many! ), and I’m definitely partial to the way they come out with Tabasco’s Buffalo sauce. I’ve even done the same exact thing but with Walkerswood Jerk Seasoning Paste (slightly more water though), and the result was incredible!